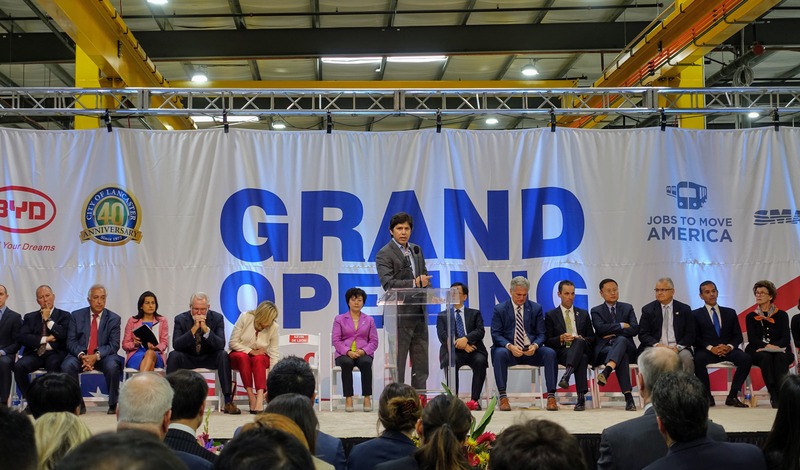 BYD held the Grand Opening of Phase 3 of its Lancaster, California Bus and Coach Factory expansion on October 6th, 2017, with numerous company officials, dignitaries, and employees on hand to celebrate. CleanTechnica joined in the fun as well. The event was held at BYD’s Lancaster Factory in one of the newly added sections of the factory. The increase in capacity added around 300,000 square feet to the factory, bringing it up to 450,000 square feet in total. BYD has only owned the facility for 4 years and has continually increased the number of employees and the size of the location in that time, including an addition that was only finalized in March of this year to accommodate assembling electric trucks. Compared to the tour of the facility I went on in 2015, the new facility is more than 3 times the size. The new location increases BYD’s electric bus production capacity to 1,500 buses per year. It has increased its headcount up to 713 employees with plans to add 500 more in the coming 18 months. BYD’s plans for the facility are not new and the actions we are seeing merely keep pace with the extremely aggressive plan BYD had for the facility in the first place. The factory’s primary function for the company is to build electric buses. Think of that as the physical shell and interior of the buses. 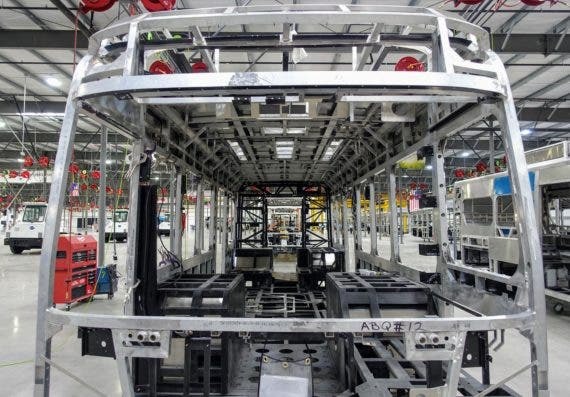 It starts with cutting and welding of the aluminum frame components, which are trimmed and welded together based on customer specifications that can be selected from BYD’s numerous bus formats and then customized to the range required by the customer. BYD sizes its batteries such that they will be able to meet the customer’s required range even after the projected 30% degradation after the projected 12–15 year life. As the frame takes shape, BYD’s technicians bolt in its in-hub motors, batteries, inverters, chargers, and all of the fun low-voltage components that service the passenger cabin: lighting, indicators, speakers, and the like. Then it’s good to go. Buses are painted or wrapped per the customer specification, tested, and then delivered. It is not a lighting fast process, but BYD’s new factory gives the company enough capacity to churn out ~4 buses per day, on average. Don’t expect those production rates to be realized immediately. Rather, production will ramp up as customer orders increase. The BYD Lancaster facility is the largest dedicated electric bus manufacturing facility in the Americas — an honor BYD takes great pride in. This is a testament to BYD’s continued foresight into where the market is headed and the pace at which the market is ramping up, as well as its own ability to bring down costs and ramp up production capacity. Government officials and BYD leadership alike spoke to the importance of working together and, indeed, a diverse representation of Democratic and Republican leaders was pulled together to pave the way for BYD’s entrance into the United States and into Lancaster, which speaks to the importance of working towards common ground. For its part, BYD pushed hard to find the best location after identifying the US as the correct nation for growth at the time. BYD’s move into the Americas will continue to evolve and expand as the market for electric vehicles continues to grow … and there is more to come from this event, but that will come later. For now, know that BYD has moved into its home territory in Asia aggressively; then expanded to Europe, South America, and North America with a force that reveals insight into the direction each of those regions is heading. We love BYD here at CleanTechnica and will continue to push and pull to get the latest updates from the company. 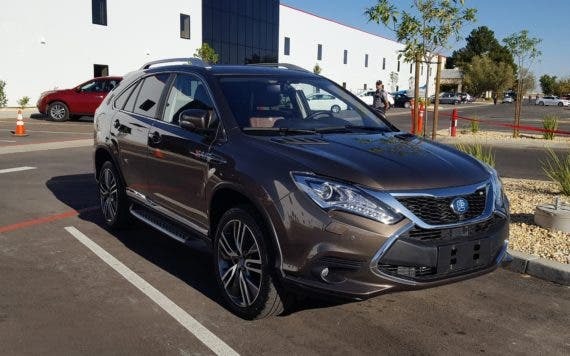 And we’ll keep poking at the BYD team to encourage them to bring passenger cars like the BYD Tang (below, in California) to the US for American fleets and consumers.